It is not a secret to anyone that we live during the technological era and many things are already computerized. That is why no matter what your profession is, it is most likely that you interact with some miracles of modern technology on a daily basis. That is why today we decided to discuss such ancient profession as a writer. The fact is that writers can be of different kinds since some people write novels best, others like to write technological texts, some people can’t imagine their lives without personal blogs. However, no matter what type of writing you prefer – there is always a need for some helpful tools to be at hand. The thing is that since these days mobile phones are basically small computers, there are many tools developed for them. This time, we are going to focus on useful writing tools for Android devices. You may be surprised how many of them there are. Just before we proceed, it needs to be mentioned that in case you are looking for a professional and free plagiarism checker to ensure the authenticity of your writing – PapersOwl is a place to check it out in the first place! For those of you who are interested in novel writing, this is the perfect app to consider. The thing is that the tool allows you to create separate characters and entitle them with all the traits, features and powers you like. To put it simply, the utility grants you the ability to create the complete world required for every good novel. Truth be told, in case you are using a virtual keyboard for your writing, you already know how frustrating the unnoticed mistakes and errors can be. That is when Grammarly comes in more than handy. The fact is that the utility is designed to auto-correct spelling errors as well as check the grammar. In recent article, I covered best online grammar checker tool. When it comes to JotterPad, it is safe to say that it is a utility designed particularly for writers. The truth is that by using this app, you can easily come up with a variety of features designed for novels, screenplays, and other similar writing. It is highly customizable and comes both as a free and paid version. This is that one time when the name speaks for itself. It is not that difficult to guess that the Novelist is a writing app for novelists. The tool comes with many useful features that will make your working process not only simpler but also more effective. It needs to be mentioned that the utility comes with a built-in text editor and that may be crucial for some writers. So, if you are interested in novels above all – then you need to consider this app, that is for sure. 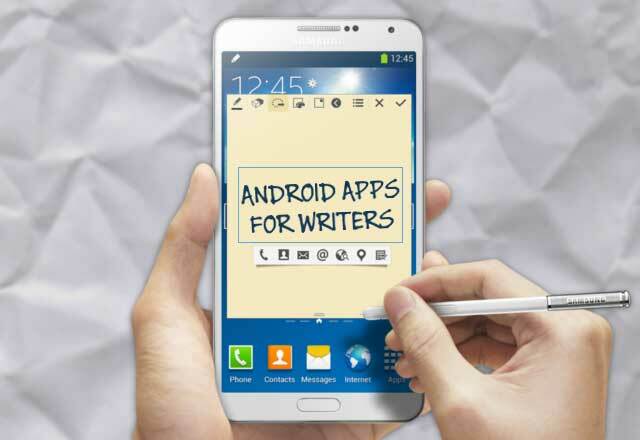 Another quite popular writing application for Android devices is Writer Plus. Truth be told, this is that type of a utility that contains basically anything required for successful writing. You can make use of headers, rich text formatting, undo and redo options, keyboard macros, a night mode, right to left text support, and word and character counters. Besides, all these features are not only easy to use but also to understand, not to mention the fact that if there is something you do not comprehend – there is a guide to refer to. If you need a word processor combined with lots of other practical features, then you need to consider Writer Tools application. The app allows you to create characters, plot out timelines and chapters, create new locations, and many more other ideas. What is more, you will always be on schedule since the corresponding option will not allow you to forget about your writing hours. Besides, you can always track your progress with the help of Writer Tools. As you can see, being a writer nowadays is easier than easy. There are many useful tools to help you in the process so that you can ensure the successful outcome of your hard work!